“Stella Artois”, I’m sure most of you can familiarise this name with a Belgium Beer, right? Well, a man by the name of Akira Nakai-San loved this beer so much that he marked the start of his car tuning and customising carrier with it. Akira from Tokyo tuned and customised his first 911 when he was only 28 years old and people went crazy for the body kit – it definitely makes the car look larger than life and super aggressive, right? Of course, he made no compromises when designing for speed and his extremely wide-body race kits are race, touring and long-distance proven, to give the racer an aerodynamic advantage. These body kits became so famous in the 90s, in fact, that Akira has been customising Porches for his customers for 15 years now. 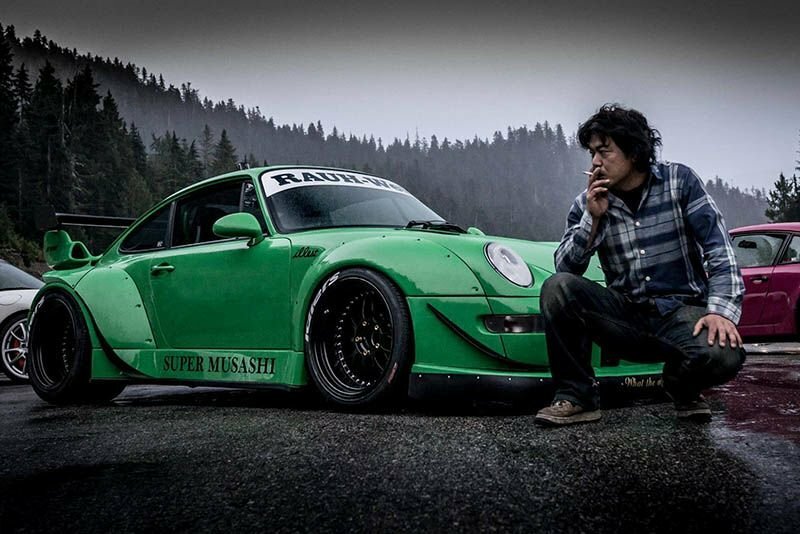 He travels all over the world to personally mount and assemble these kits for his customers and because he loved Germany and German cars, he renamed his company 'Rauh Welt Begriff'(RWB) meaning ‘Rough World'. A 22,000 Dollar RWB kit includes standard front and rear bumpers, four extended wheel arches, a couple of side skirts, a GT2 or 3.8 RS rear spoiler and other necessary bits and pieces which are all manufactured by his Japanese component supplier. In addition to his race kits, he now offers ‘narrow body’ road conversions, covering all the 930, 964 and 993 models. He also markets optional suspension kits, XXXXL Champion rear spoilers, SSR wheel rims and tires up to 335 in width, which will cost you around 40,000 dollars. However, you would be a fully fledged Rauh Welt Porshe KING. Porsche's 'brand New' 993 Turbo S Is Amazing To Say The Least! Fast And Furious Bloopers... No Calipers? Here's Why! Video: Squeaky Breaks? Stop Complaining, Says Porsche! Red Bull Global Rallycross Championship Goes To Scott Speed, Again! Video: Can The Cops Catch Them Street-racers? Porsche Might Launch A More Affordable 911!